The first bad judge was Peter Keighley. Mr. Keighley is not really a judge. Mr. Keighley is really a British Columbia Government employee. He is what is known as a Master of the Supreme Court and he was appointed to his job by Premier Gordon Campbell, in 2004, shortly after Peter Keighley did Gordon Campbell a favour when, as Treasurer of the Law Society, he presided over a panel that destroyed the career of Karl Eisbrenner in the first ever case where a lawyer was disbarred without any complaint by a member of the public. And so, when Greg Harney turned on his client the insiders at the Government of British Columbia assigned Peter Keighley to the case and in the Editors opinion, Peter Keighley was instructed to use the Harney case to destroy John English and the convicted criminal in the photo who was driven from office amid a huge scandal was a beneficiary along with a number of other crooked politicians and bureaucrats because it is their pension plan that is benefitting from the property stolen from the English family. The next bad judge was J. Keith Bracken. Keith was a former RCMP officer who went law school and became a lawyer in 1977. 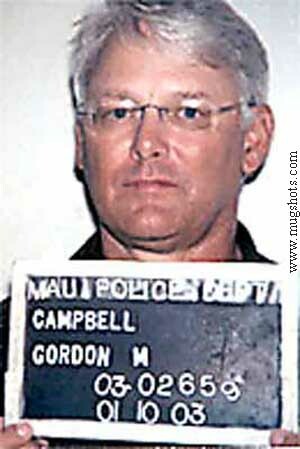 He worked as a lawyer of no particular merit and was made a British Columbia Provincial Court Judge in 1991 by the notoriously corrupt Social Credit government under the leadership of Bill Vander Zalm who, like Gordon Campbell was driven from office over allegations of corruption. Keith Bracken stayed at the Provincial Court until 2007 a full twenty five years and his Provincial Court Judges pension is managed by BCIMC just like Peter Keighley and so he also a financial interest in making sure Jack English was destroyed by a bogus legal bill. As a competent judge, Mr. Bracken would have noticed immediately that the whole proceeding against the two English family corporate defendants was based on a legal bill that did not name them and that Master Peter Keighley had no jurisdiction to make a judgment against those companies. But the lying Bracken remained silent. Mr. Bracken would also have known that an award of $225,000 for a couple of lousy days in court getting an extension of time in a mortgage foreclosure was completely inappropriate but the lying Mr. Bracken remained silent and in our opinion he did so because his pension funds, managed by BCIMC, would benefit. In the Editors opinion, Keighley and Bracken are dirty and corrupt judges who lined their own pockets as surely as someone taking a bag of cash in exchange for a judgment.